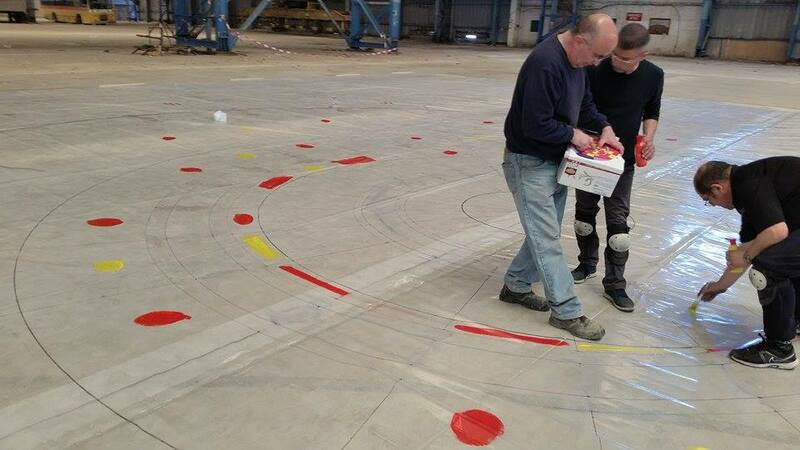 ELC workers plotting the design on plastic. Cars drive past slowly, presumably on their way to work, close to the water’s edge at the Malta Drydocks. A number of boats are docked next to one another, with some people cleaning the decks under the watchful gaze of the towering green cranes used for shipbuilding purposes. Walking towards the huge warehouse close by, a gentle breeze blows past to offer some relief from the humid spring morning heat. Once inside the warehouse, I’m immediately greeted by the sight of old buses, all parked next to each other. These bright yellow and orange structures are silent remnants of the loud juggernauts that I used to ride as a child and teenager and which were quite iconic to any tourist visiting our shores – you still find yellow and orange miniature souvenirs in shops till this very day. Pigeons fly overhead inside the warehouse which is eerily quiet considering it’s right next to the busy Marsa main road. At the end of the warehouse, I spot a van and three figures. Walking closer, I recognise that these three men are the ELC workers that are preparing the plastic design which will be covered with flowers during Valletta 2018’s Valletta Green Festival. Once I introduce myself, I’m offered some coffee and we instantly start discussing the process behind what will eventually become the colourful and beautiful inforiata – the main attraction during the Valletta Green Festival. Flowers take approximately 16 weeks from seed order to having fully grown flowers. This period depends a lot on the weather, temperature and humidity. The plotting of the design on plastic is one of the most important phases of the Infiorata since it is the basis of the design. The design on plastic needs to be done as careful as possible to map the exact measurements and keep human errors to a minimum – to respect the designer’s idea as much as possible and also to make it look precise and nice for the general public. Thus, the process is quite lengthy. It starts at the office, whereby all the necessary measurements are taken off the design and noted to be marked later on the plastic. This year, the process took about 7 days – 4 at the office and 3 on a large flat area. The Infiorata is set up at night before the opening ceremony. It starts with the plastic being placed flat on the ground and then placing flowers onto it according to their colour. In fact, the plastic sheet in front of me has different lines, some dotted, some not, many intersecting, with different numbers and various colours that give it the appearance of a complex mathematical diagram you’d find in an exam rather than what is to become an infiorata. But what about coming up with the design? What’s the story there? For the purpose of this post, I’ve also contacted the designer of this year’s infiorata – Daniel Mercieca – to ask him to fill me (and you, since I’m sharing this info) in on his artistic thought process. “I first gather as much information from the client about the project and targeted audience, then list and/or combine any ideas to suit the subject. In the case of this infiorata, it had to present something traditionally Maltese. I then shortlist my preferred options and presented a few sketches to discuss further with client. On agreeing, I work on the final logo or illustration then adapt it to different compositions when needed, e.g. horizontal billboards, vertical banners, square cards, etc,” he says. 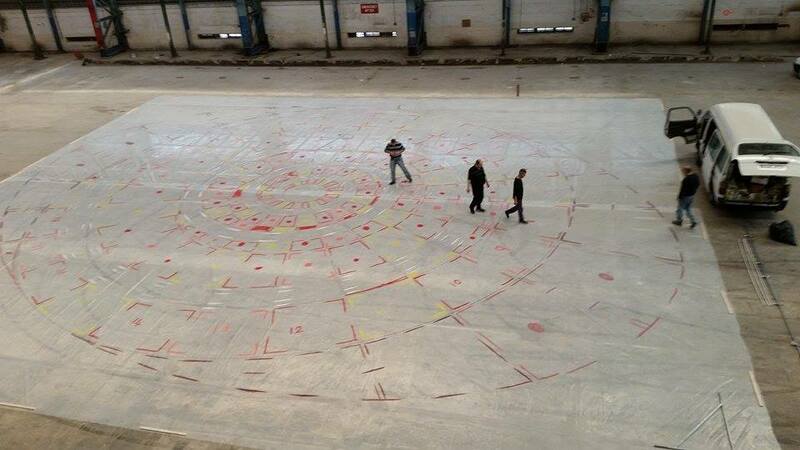 So, how is the spiral design that will feature in this year’s infiorata traditionally Maltese? “Ancient designs from our megalithic temples inspired me since I was just a kid. I often end up working with (and prefer) themes which have been waiting at the back of my mind for years. It’s also a strong primal symbol of our cultural heritage. The fact it’s created with flowers also adds an eco awareness factor,” he concludes. The beautiful infiorata will be placed on the 29th and will be on display at Pjazza San Ġorġ till the 31st May.